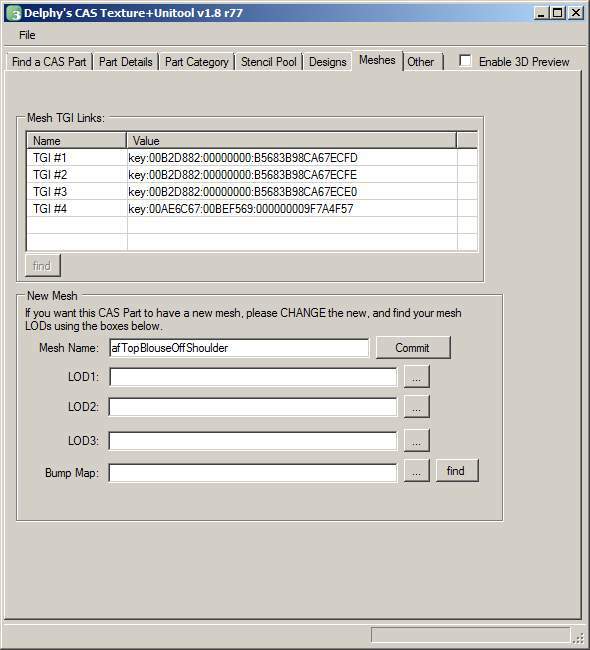 The CAS Texture Unitool (hereafter referred to as CTU), is a tool to basically allow you to edit the CAS Part files that control which textures appear on which meshes. 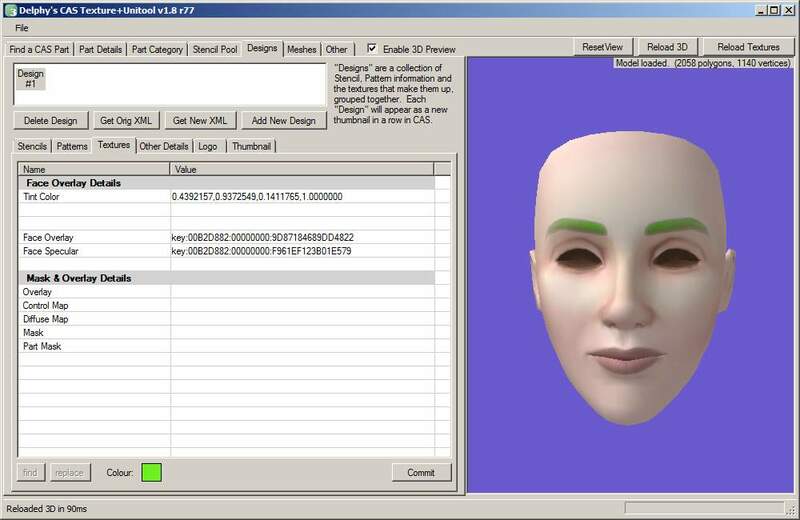 Using this tool, you may add new textures that appear in CAS for a specific mesh. 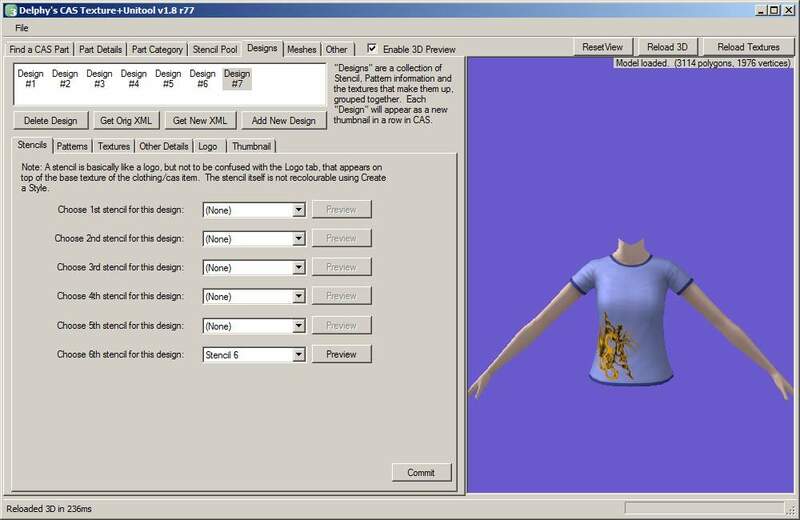 You may also edit the pattern cutouts for those textures, the specular, the base colours, and pretty much everything possible thats available in the file. Additionally, you can add brand new, non-replacement meshes into the game. It's not a program to do meshes. Use a meshing tool. It's not a program to do textures. Use an image program. It does not send satellite pictures to your PDA. It does not (by default) allow default replacements. Please note: If you had previously used one of the older versions of CTU from the other thread, then you'll notice that this new version now needs .NET 2.0 and not .NET 3.5. This is entirely deliberate and not a typo. If you ONLY have 3.5 on your PC, make sure to download and install the .NET 2.0 from the link above. In fact, the .NET 2.0 was done for a reason: So that, in future, if somebody finds a squishinterface dll file for Mac OS X or Linux, it's theoretically possible for this tool to run on those systems. DOWNLOAD BOTH FILES! You MUST download and extract both CasParts.rar AND CasTextureUnitool.rar to the same place. Note: CasTextureUnitool.rar is the Windows version. CasTetxureUnitoolNo3d.rar is the OS X/Linux version. This one has no 3d view. Extract the contents of both rars to the same place. KEEP FOLDER STRUCTURE INTACT. You will probably need to copy some files around after extraction. You should see the CasTextureUnitool.exe and a bunch of other files, and then a casparts folder and an xml folder. Inside the casparts folder should be over 1000 files. Do not delete/move/change or otherwise do anything to the files in casparts!! If you do and you complain I will beat you with a set of clocks since we are running out of lime. Using the 3 dropdowns, select your poison... aka Age, Gender and Type. Click "Replace" and find the DDS file you want to use. NOTE: Make sure you saved in a DXT format (DXT1 for things without alpha channels, DXT3 or DXT5 for with alpha channels). Do not use 8.8.8.8 ARGB (R8G8B8A8) as it is uncompressed and you will end up with massive files. It's fine for patterns, but not good for this stuffs. Click File -> Save As. You don't have .NET framework 2.0 installed or installed properly. Go get it and install it. If you have it already, reinstall. What happens if I blow up CTU!? You should get an error box. Hit Ctrl-C, and then paste the clipboard into a reply on this thread. Tell me exactly what you did to get to that point. PS: Use the [ spoiler] [ /spoiler] (remove spaces) around your error message to help cut down the amount of scrolling. - Changed text on status label in Render window from "3d view is not initialised" to "Model not loaded"
- You must remove your xml\custompatterns.xml file prior to running 1.9 for the first time, if you are updating over the top of v1.8! 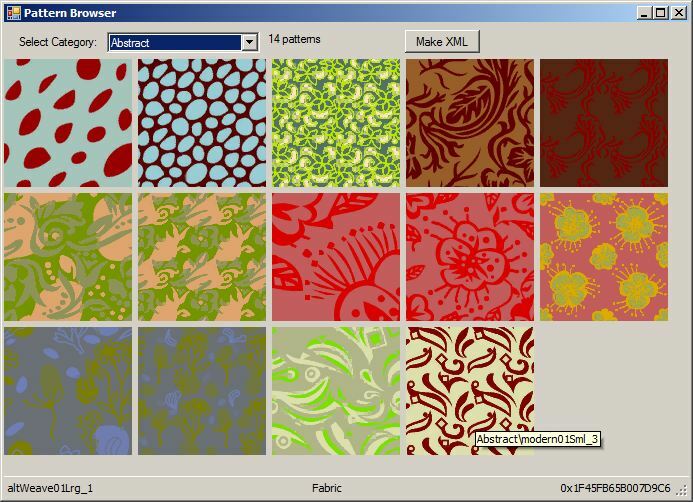 - You must clear your pattern cache folder to see the updated patterns! - Minor bugfixes and enhancements. - Color picker glitch fix. And some other minor changes. - Adding message while generating texture. - Cleaned up unused Usings. - Changed .NET Framework from 3.5 back to 2.0. - Adjusted casPart save to use String.IsNullOrEmpty instead of == ""
- Moved findKey() functions out into seperate MadScience.KeyUtils class, and moved newDDSfiles into a more generic Helpers.localFiles Hashtable. - Fixed findKey, which exits early, when it just found /one/ key. - Small optimization in PatternProcessor. - Added option to make it so that selecting a mesh automatically adds a New Design. - Probably some stuff I am missing. - Multiplier is now renamed to "Base Texture"
- Way too many to list here. - This version allows only ONE stencil to be put on a design at a time. I'll be re-adding the ability to put multiple stencils on a design later. - Should fix the issues with the afTopShirtTee_crew and others. - Added validation to the keystrings so it doesn't crash when entering garbage. - Changed behaviour so that CAS Part Details will always show, even if the CAS part can't be changed right now. - Probably some other stuff I forget. Thanks to all who decide to test this, Snaitf and Rabeeto for being initial guinea pigs, and fanseelamb for some of the UI suggestions. Thanks to the CTU Team (Delphy and jonha) for coding this!